If you choose badly, or if you' re employed by an umbrella company who isn' t doing the right things, they could make your working life much harder and may even leave you facing HMRC investigation! Are you a contractor, a freelancer or a supply teacher ? Make sure you're with the right umbrella company in 2019. Free Guide For Anyone Working On A Freelance Basis! 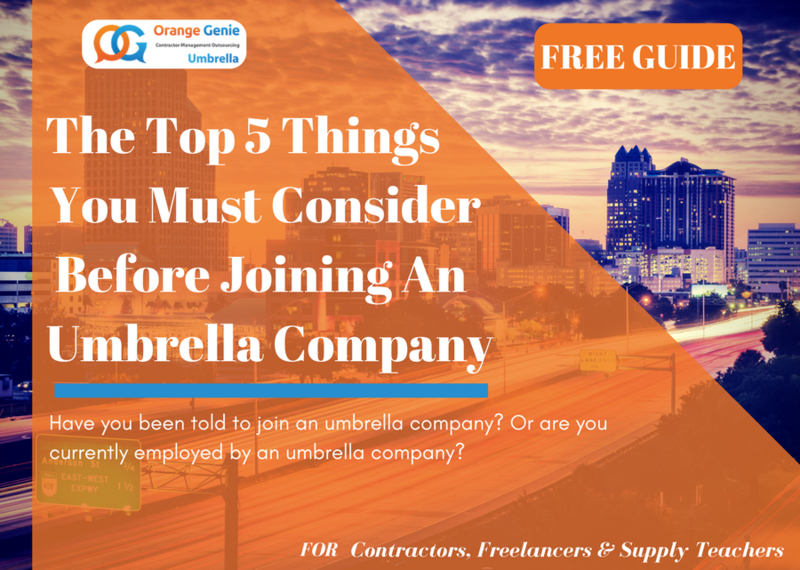 Consider Before Joining An Umbrella Company free guide, we have showcased the top 5 tips you must take into consideration in 2019 when willing to engage with an Umbrella company. To get your free copy today, fill the form above.